The German Institute for Structural Engineering (Deutsches Institut für Bautechnik – DIBt) has granted CFL the use of its Ü mark of conformity for its laminate and luxury vinyl products. This confirms the products fulfill the strictest requirements within the German market, Germany being known to be one of the strictest countries in Europe regarding harmful substances used in building products. 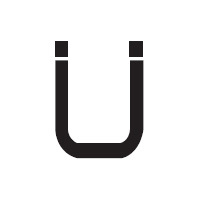 What is the Ü mark of conformity? The European Construction Products Regulation (CPR) describes the fundamental requirements on hygiene, health and environment protection. In Germany, the approval principles for health-evaluation of construction products by the German Institute for Structural Engineering (DIBt) specify these, especially concerning emissions. So in Germany, for reasons of health and environment, the Ü mark of conformity on the basis of a national technical approval (abZ) is required for all laminate or luxury vinyl floor coverings.